Kangana Ranaut has WAGED a war on mainstream Bollywood and she won’t stop now. Kangana Ranaut made a comeback with Manikarnika: The Queen Of Jhansi. Although the movie was mired in many controversies, it managed to impress people and collected decent bucks at the box office. Kangana has been talking about the movie since its release and has lashed out again on Karan Johar, Alia Bhatt, Aamir Khan and the ‘nepo gang’ of Bollywood. 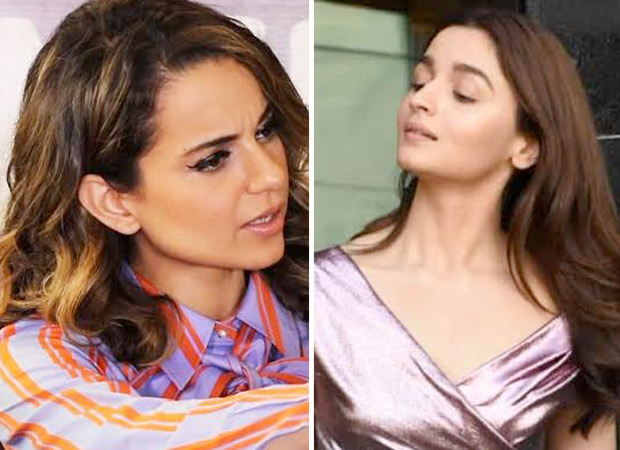 Kangana did not mince any words as she spewed venom on Alia claiming that while she recognized relevant work done by her with Raazi, she refused to speak anything about her when Manikarnika was mired in controversies. She said that here she made an amazing film about nationalism and feminism and these ‘so called successful actresses doing relevant work’ refused to speak in support of her. Alia, at an event, said that this was a misunderstanding and that she has always supported female contemporaries. She even offered to personally apologize to Kangana. She said, “I hope she doesn’t dislike me and I don’t think she dislikes me. I don’t think I have done anything intentionally to upset her. If I have, I will apologize to her on a personal level." Kangana added, "I told her if she is only focusing on earning bucks and not raise a voice, then her success has no value...hope she understands the true meaning of success and her responsibilities, Nepo gang life is simply restricted to give and take favours hope she rises above that."